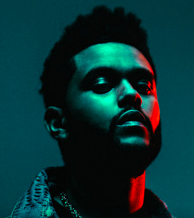 XO/Republic's The Weeknd will score an overwhelming #1 on this week's charts, and while he now looks unlikely to unseat Drake for the first-week U.S. streaming crown, he's set for a helluva bow. The SPS number below reflects a likely SEA of about 100k. Meanwhile, Starboy is #1 on the iTunes album chart and The Weeknd f/Daft Punk’s “Starboy” sitting at #1 on the songs side this morning, while the album is #1 at Apple Music and tracks from the set occupy the entire Top 20 except for #6 (Drake) and #7 (Rae Sremmurd). The title track is #1 on both the Spotify U.S. and Global charts (and the charts of territories around the globe) and other songs are moving up the streamery's viral charts.